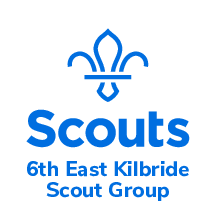 The aim of the 6th East Kilbride Scout Group is to promote the development of young people in achieving their full physical, intellectual, social and spiritual potential, as individuals, as responsible citizens and as part of our local community, and as members of the national and international communities. We help young people develop skills for life. The method of achieving the aim of the Group is by providing an enjoyable and attractive scheme of progressive training, based on the Scout Promise and Law, and guided by adult leadership. Fun and adventure is key to Scouting.